However, I’d like to get back to the cloud story now and analyze what are the potential relationships of PLM and Cloud as well as figure out what I see as the opportunity for PLM cloud applications. I see a significant potential in application of cloud technologies to remove the limitation in both directions – computing power and storage. Despite the strong trend making CPU and Storage cheaper everyday, I think cloud can propose something different in this space for CAD and PLM applications. Software manufacturers need to re-think design, analyzes and simulation solutions and sees how to surf on top of potential availability of hundreds servers for the specific engineering task. The same about storage – think big, you can store whatever you need and have it accessible at any time. Cloud can bring to small companies and individuals luxury of availability without limits. What was available yesterday only to the big corporations as part of WANs and other exclusive network services, can be now part of the global net in the cloud. It can change work habits of engineering companies in the way can manage their workforce, optimize supply change. Such global availability can open new markets for applications that before had limited availability to be distributed to end users. Cloud can be an opportunity for PLM companies to step into the integration process. 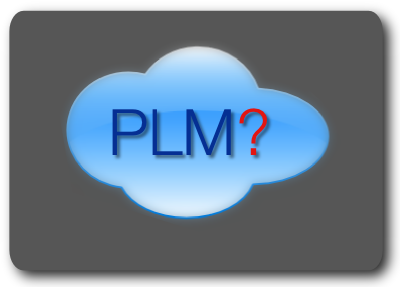 I wrote few days ago- Do I need an invitation to CAD/PLM Cloud?. Integration of data and engineering information can be much easier when information will be available online and in more webish form. However, this is also the political issue. Today companies see integration in the very protective way. I believe influence of web and available web technologies can make shift in this area too. And finally, what about money? How PLM companies and customers will be able to shift into new business models. What is clear for me, this is going to be a significant change. Cloud opportunity will provide cheaper resources and as a result new companies can use it as a threat for existing big vendors. The potential of new business models can be in renting and using services on demand. It can create some very interesting business cases. As a result, I can expect increased competition in the space that was heavy impacted by M&A of smaller companies by bigger vendors. I think PLM industry needs to spend some time to digest cloud revolution. Stop saying – we are doing it for years and also wait and not claim engineers as last people that will move their IP and information on cloud. I think dynamic of the next 2-3 years will be very interesting and will expose some emerging trends in cloud adoption by CAD and PLM.